Many people have an allergic response to gold, making it difficult to have an abundant life. There are ways I have learned to fix this and bring more Light into our lives. Voluntary Donation: $5 suggested (not required). We welcome snacks & refreshments. Pat spent nine+ years traveling to remote places on the planet following her sensitivity to gold and her map dowsing ability. Gold, that is, with the Life Force still intact. There seems to be a ‘zone’ where gold emanates a distinct Power that fills the air with its magic. Raw gold and perhaps the long sought after White Powder Gold radiates the ultimate frequencies. Dowsing skill and mastery can draw upon those energies to blend with our individual Consciousness. Pat will share this technique at the meeting. Pat Delafield now lives in Lynnwood, WA. Learning to dowse from a Shaman in Alaska in 1970, she has never looked back. Dowsing has helped her make difficult life decisions, brought healing to many people, taught her to trust her ‘gut’ feelings and most importantly, given her a tool to teach others how to be Self-Empowered. For over 25 years Pat had been a channel for the Master Teachers with weekly classes both in Seattle and places where she traveled. 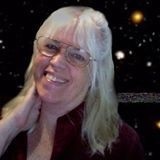 A lifetime student of the esoteric arts, she has lectured and taught workshops in Feng Shui, dowsing, psychic development, and healing modalities. ​After a near fatal auto accident in ’75, Pat attuned her energies with the spirit world and gives psychic/intuitive messages to her clients. ​Currently she is the President of Energy Dowsers of the Pacific NW. Studying Technical Writing at the University of Washington and most recently receiving an AA degree in computer Visual Communications has opened the knowledge base for linking matters of the Mind with the physical world. Pat Delafield is adding another dowsing class following day after our Saturday meeting: Click here for details.